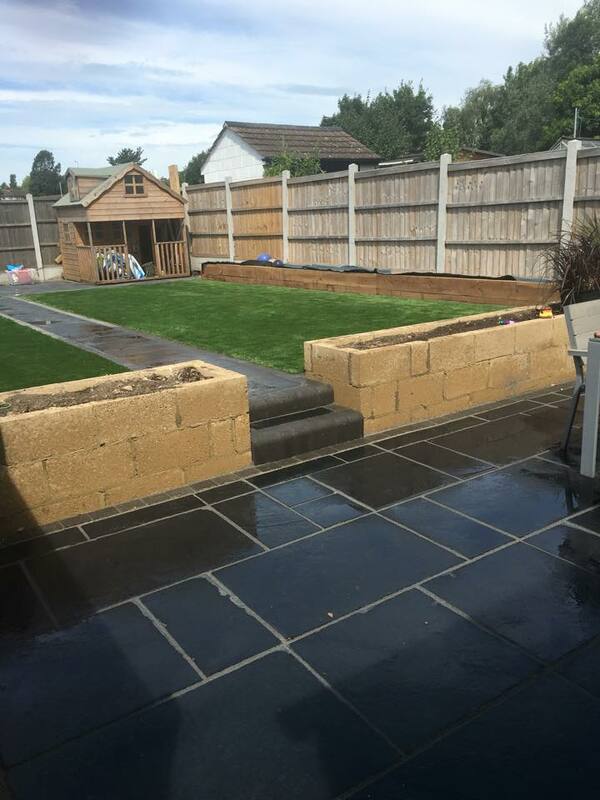 Another recent Garden Transformation from Manor Driveways Ltd.
Quite a sizeable transformation. 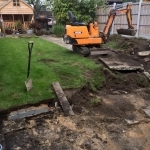 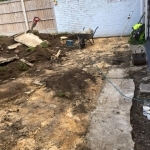 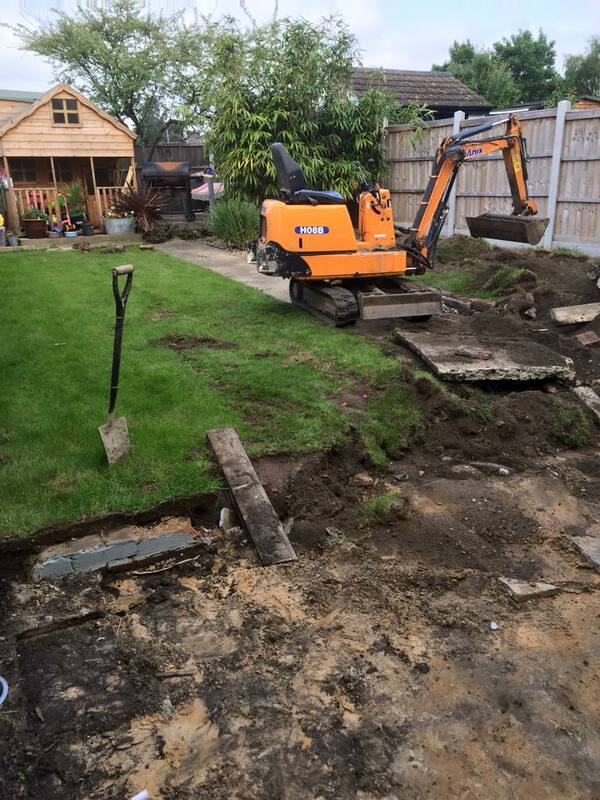 Removal of old patio and path along with tree/planted area to the rear of the garden. 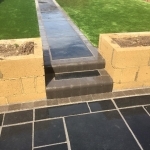 Installation of new patio at the rear of the property with adjoining central garden path leading to another patio at the far end of the garden all finished in Carbon Black Limestone Slabs with Alpha block borders. 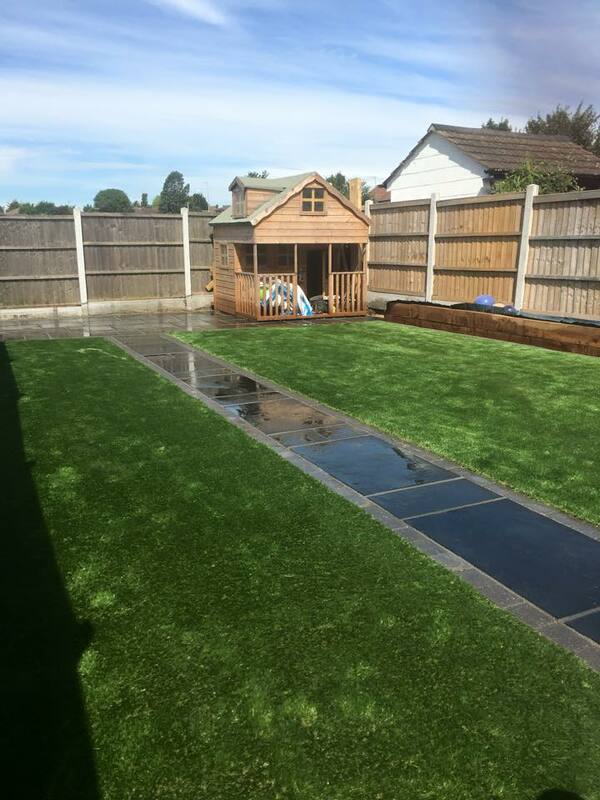 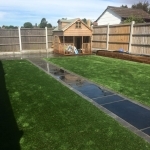 Either side of the garden path we installed 38mm soft touch artificial grass. 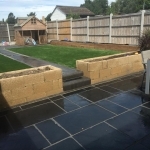 The transformation was completed with the addition of block and sleeper flower beds. 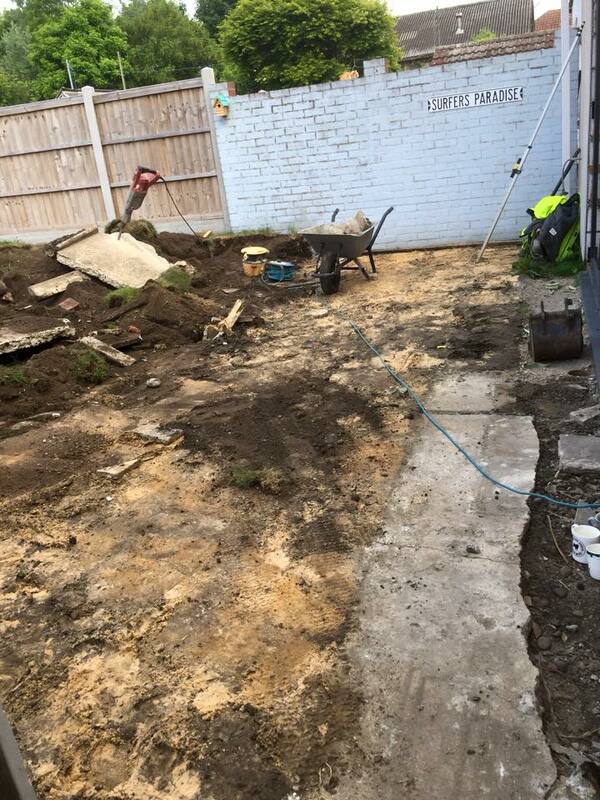 Removal of existing patio in preparation for laying the new Charcoal Black Limestone. 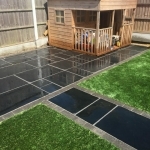 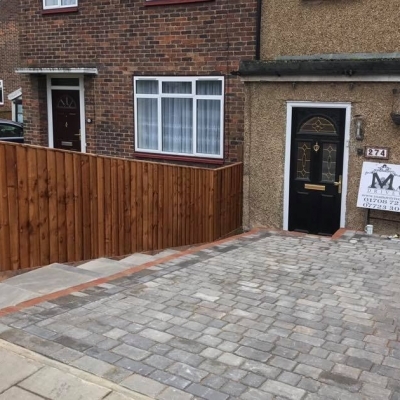 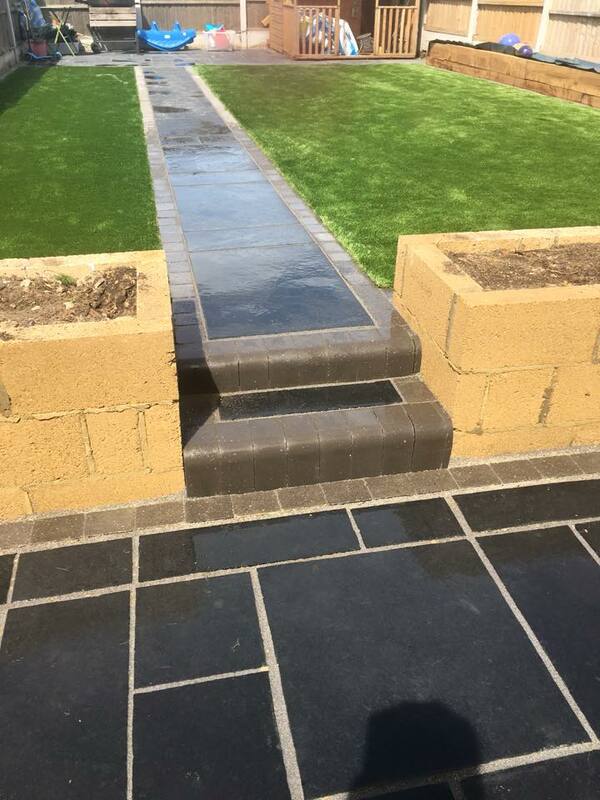 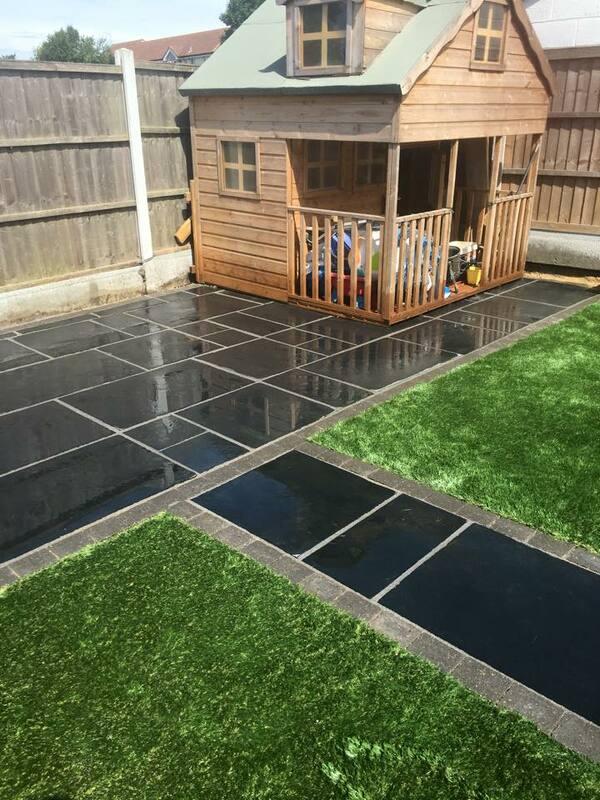 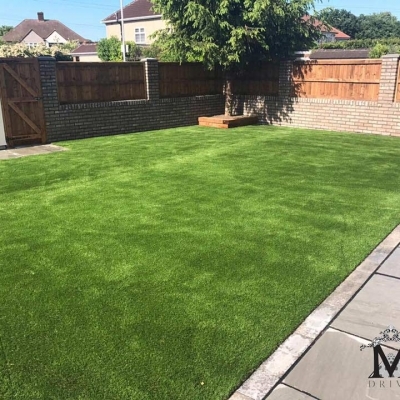 For more information about how Manor Driveways can help transform your garden landscaping ideas into reality please don’t hesitate in contacting us using the contact page, calling 01708 721530 or mobile 07979 918440.